Bristol Baseball Club will be holding two sessions in Bristol and Bath in January for people wanting to try the sport. People of any level of experience are welcome at the sessions which will be run by the club’s coaches. The Bristol Intro Session will be held at Merchants Sports Academy in south Bristol on Sunday 14th January 2018 between 9.30am and noon. The Bath session will be held a week later on Sunday 21st January between 9.30am and noon at Kingswood School on Landsdown Road in Bath. Batter up! Can you be a hit at this sport? “Anyone wanting to try their hand at this fantastic game, no matter their experience, is welcome,” said club chairman Richard Evans. 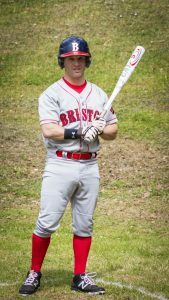 The club is celebrating its 10th anniversary in 2018 and the reigning SWBL champions, the Bristol Badgers, will be setting foot on the national stage. 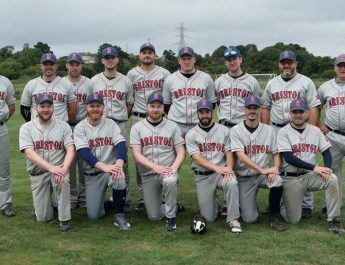 Their home games are played at the Somerdale Pavilion in Keynsham and they currently have two teams; Bristol Bats and Bristol Badgers.